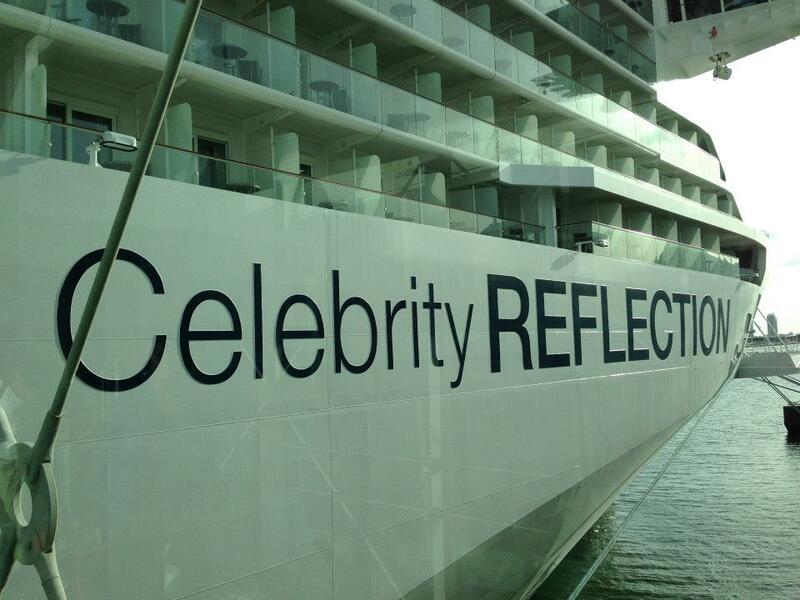 5+design studio creatives share with us their impressive work on the High Seas as Celebrity Reflection luxury ship. 5+design on the High Seas as Celebrity Reflection, the Fifth and Final Cruise Ship in the Celebrity Solstice Series, Launches Architects bring lessons learned designing ships to international practice Hollywood, CA, January 22, 2013 — Luxury cruising on the rise buoyed, in part, by the exciting new ship designs and 5+design celebrated their contributions to the cruise ship experience when Celebrity Reflection, the fifth in the Celebrity Solstice series, launched in late 2012. Internationally recognized for their work on successful, land-based mixed use and resort projects, the design team has been part of the Celebrity Solstice team since 2005, when they began work on the first ship in the series, an innovative design that established a new standard of luxury for premium cruise lines. “A cruise ship is like a state-of-the-art Las Vegas resort with live shows, penthouse suites, high roller gaming, luxury shops, epicurean dining, dramatic swimming pools — all squeezed into about 145,000 tons of floating steel designed to be cruising at 35 knots but also able to handle 30 foot high seas,” said Tim Magill, NCARB, LEED® AP, the 5+design partner who heads the team. “Ships compete with the best of the land-based resort projects in their distinctive character and offerings,” adds Mark Welz, AIA, LEED® AP, Associate, who has been part of the team since the first ship. Welz sums up the unique, defining characteristics of the ship design versus land-based projects as “More with Less and “Stability in Motion.” “Ship design is the creation of total environments that need to do everything a dynamic land-based project does plus provide its own infrastructure for energy, life safety, water, waste, and recycling while floating in the middle of the ocean,” he says. The 5+design architects learned to meet those demands, and have continuously raised the bar on design, for a series of high profile venues including retail, restaurants, bars and casinos on all five of the sister ships in the series (Celebrity Solstice, Celebrity Equinox, Celebrity Eclipse, Celebrity Silhouette and Celebrity Reflection.) 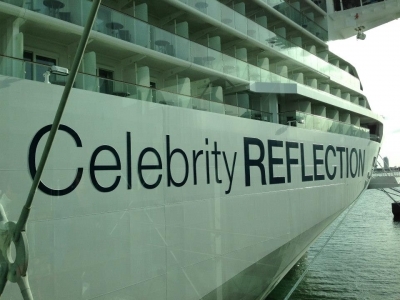 Celebrity and its parent company Royal Caribbean Cruises Ltd. believe their ships benefit from the input of a variety of designers, and typically five to six different design firms contribute to the ultimate configuration of every vessel. Dramatic — Create drama and dynamism in small areas, which saves ship weight and directly impacts energy and construction cost. On board there is also a need to work with less vertical dimension to reduce ship height and improve the ship’s buoyancy, balance and aerodynamics. Lightweight —Design furniture, walls and finishes with special lightweight construction to reduce overall ship weight and combustibility for life safety. Energy-efficient — Select lighting and equipment for reduced energy usage that is budgeted and balanced for the entire ship. Ships must generate their own energy and the amount of energy required determines the size of the equipment and the cost of operations. Safe — Design spaces to double as staging areas for emergencies with integrated life safety features such as drop down monitors and life jacket storage. Objects attached to floors, walls and especially ceilings need to be rigid so that they appear “stable” and do not exaggerate the movement of the ship or become a safety hazard. 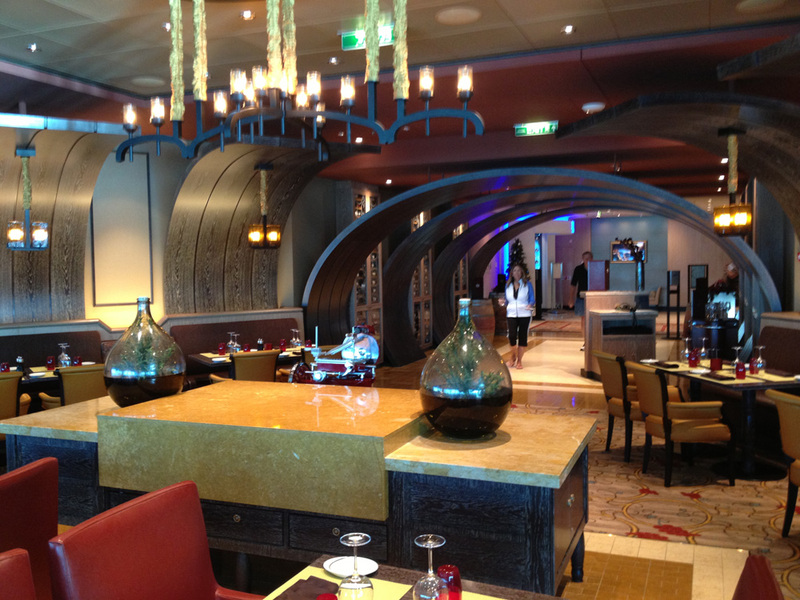 For instance, chandeliers are hung on stiff pendants so the natural list of the ship is not detected by the passengers. Precise — Design with care. The precision of shipbuilding is significantly greater than land-based projects; the profiles and construction tolerances (in millimeters versus inches) are critically important. With such tight tolerances, clear design communications are essential. Collaborative — Royal Caribbean supports a collaborative environment where multiple design teams participate in the meetings and share information freely. Design firms help each other out, offering advice and support. The shipyard, too, plays a vital role, finding ways to engineer complex structures that not only resist normal vertical and lateral forces but also need to be designed for vibration, elasticity, and weight and buoyancy. Among the recent and current projects that have benefitted from the lessons of cruise ship design are an update and expansion of the China World Trade Center in Beijing, where 5+design is fitting both a new luxury flagship mall and second retail development designed to attract a full range of shoppers on the existing site and the Dragon Valley Retail District in the Yongsan International Business District, where the firm joins a select cadre of internationally recognized architects working on multiple projects for the 34-million square foot mixed-use district in Seoul.